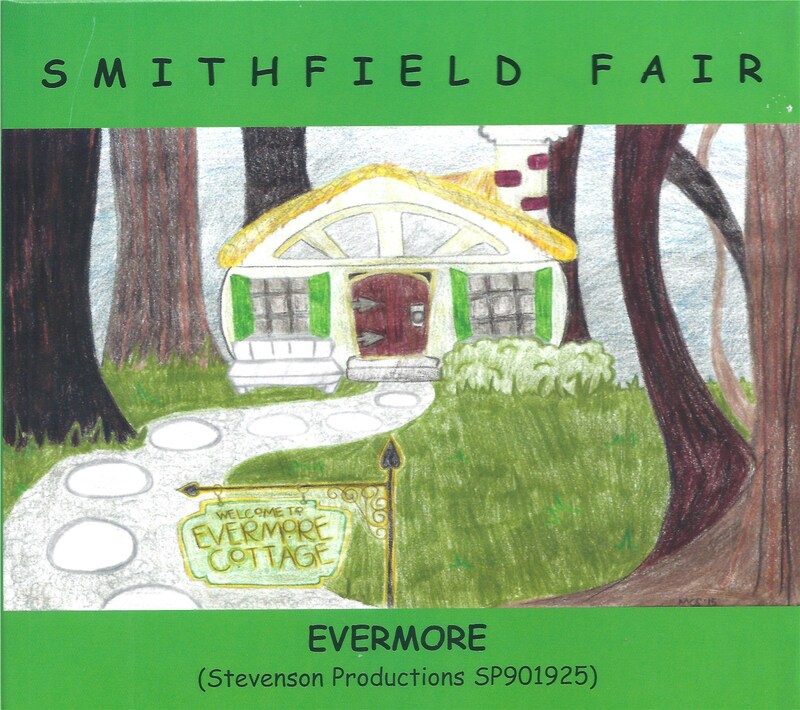 An album of all new songs from the roots of Smithfield Fair's home base at Evermore Cottage dwelling on the ideas of contentment, peace and hope. The album's 12 tracks showcase the trio's instrumental side with three fresh new works including one by J.S.Bach and nine sparkling new songs with an infectiously positive groove. The album rings strongly with the trio's signature warm harmonies and acoustic instrumentation in a clean, spacious setting invoking the magic of Smithfield Fair's uncommon music. Performed by Jan Smith (accordion, piano, guitar, vocals), Bob Smith (acoustic bass, percussion, vocals) and Dudley-Brian Smith (acoustic 6 & 12-string guitars, mandolin, harmonica, vocals), with Craig Lacour (drums, percussion) and Danny Smith (percussion). Love Is A Mystery (Jan Smith), Object of Devotion (dbsmith), My Heart Ever Faithful (Johann Sebastian Bach), Come Sit Be The Fire With Me (Jan & dbsmith), Then We Can Dance (dbsmith), Love Goes Cold (Jan & dbsmith), The Bells of Evermore Cottage (Jan Smith), All Life Long (dbsmith), Evermore (Jan & dbsmith), Ring Around the Moon (dbsmith), Home Again Now (Jan & dbsmith), Reason to Ride (dbsmith). Graphic construction by Greg Toney.